If you are interested in a healthy lifestyle, you probably want to know more about where your products come from. The predominant breed of cows you’ll find on our dairy farm are Holstein-Friesian cows. They’re a good-natured lot, and they also enjoy a healthy lifestyle! The Holstein-Friesian cows have been found on dairy farms for ages. The first breed appeared over 2000 years ago! As their name suggests, the breed is a mix of two cows: the Holstein and the Friesian. The Holstein came from Germany while the Friesian cow is originally from The Netherlands. From there, these ladies have found their way to dairy farms all over the globe. No surprise, the Friesians are known for their high quality of milk and the Holsteins for their sweet and tame personality. That gives us the tastiest milk, filled with lots of love. The characteristic Holstein-Friesian cows are an enrichment of the countryside. Their iconic black and white spots form a unique pattern, that even today in some countries is used to identify individual cows! On the organic dairy farms in the United Kingdom they can enjoy life. Whenever possible they are out in the meadows, where they can graze a variety of grasses and herbs. Completely natural, because no pesticides or artificial fertilizers are used. Being an organic dairy farm doesn’t mean doing things in an old-fashioned way. Cutting edge technology is used to provide the ladies with a modern lifestyle. They can decide when they want to be milked, and a computer tracks their health, weight and milk production. The actual milking is done by a milking robot, with a surprisingly gentle touch. 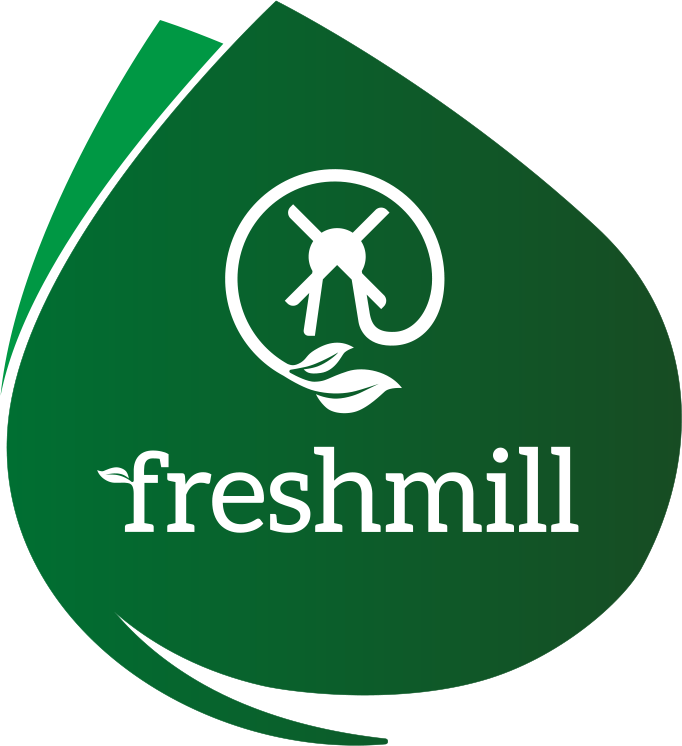 Our organic dairy farmers take good care of their cows, and the rewards are shipped to Freshmill every day: fresh milk. We make sure that milk is processed, packaged and sent off to a store near you. So your family can enjoy healthy, fresh milk, every day of the week.